Starswept by Mary Fan was one of our biggest releases of 2017, hitting shelves one year ago today. 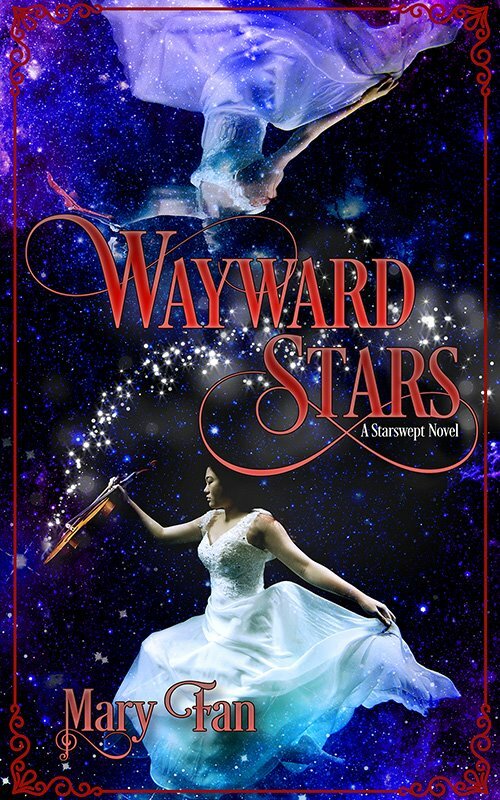 So we’re very excited to be revealing the cover to the sequel, Wayward Stars, today! Sing your truth. Defend your dream. Defy your stars. A month has passed since Iris joined an underground rebel group to save Dámiul from the brutal prison he was sent to for fighting back against his world’s oppressive system. Here, conformity and compliance are enforced through telepathy, and Earthling performers are brainwashed into absolute obedience. Word of a merciless crackdown on those who sympathize with their cause leaves both Iris and Dámiul yearning for action. Determined to liberate her kind, Iris volunteers to return to her former patrons and covertly recruit supporters. A raid on their hideout catapults her plan into action sooner than expected and forces her to leave Dámiul behind. After persuading the authorities that she’d been telepathically manipulated into helping him, Iris assumes the role of a dutiful musician while secretly spreading whispers of a possible uprising among her fellow performers. But the authorities always seem to be one step ahead, and anyone who defies them is swiftly mind-wiped. Soon, Iris is forced to confront a horrifying fact: there’s a traitor among them. Desperately clinging to her cover, she races to find out who before her true loyalties are discovered—and the search leads her to an unthinkable answer. Sylvia here! What do you think of the cover? I love it! 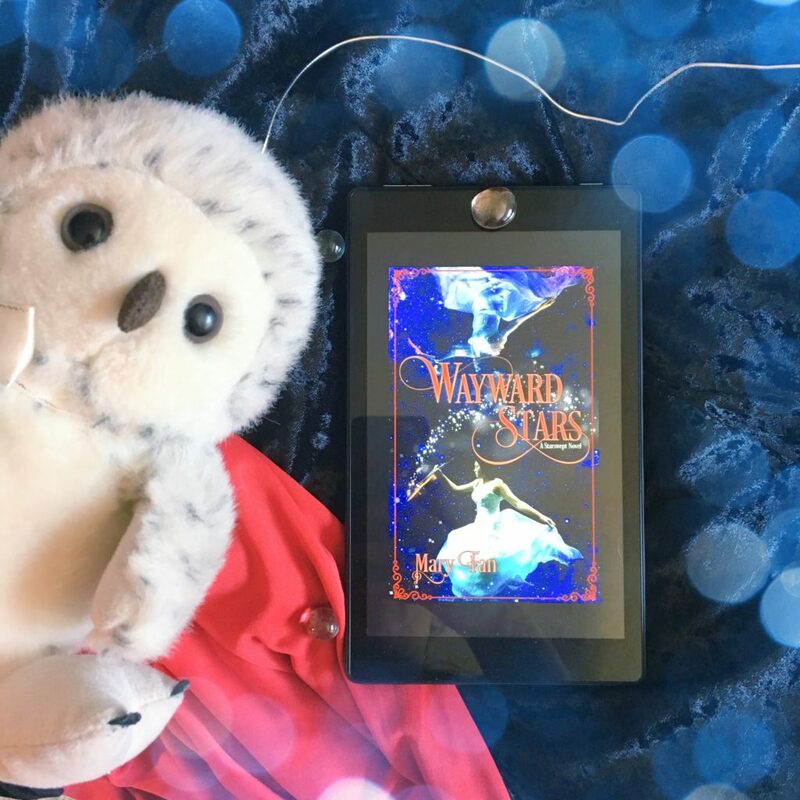 Can’t wait for Wayward Stars? In the meantime, the paperback of Starswept is available today!